Enjoy music in a small, intimate environment at the Japanese Friendship Garden. 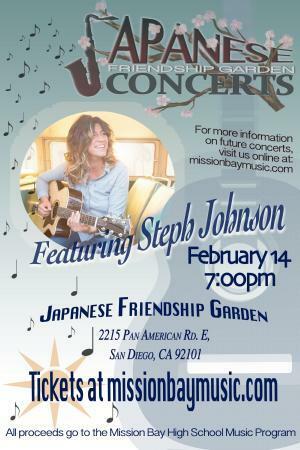 Come and hear Steph Johnson, who co-founded the "Voices of our City" choir. All tickets come with access to the garden half-an-hour before the show. Beverages and snacks will be available at the event.